Alia Bhatt is totally filmmakers’ favourite! She has signed films with some of the leading directors and the recent one which she has been signed in for is Sanjay Leela Bhansali’s upcoming eternal love story, Inshallah. The moviegoers were taken by surprise when the announcement was made that Salman Khan and Alia Bhatt have been roped in as the lead pair of Inshallah. 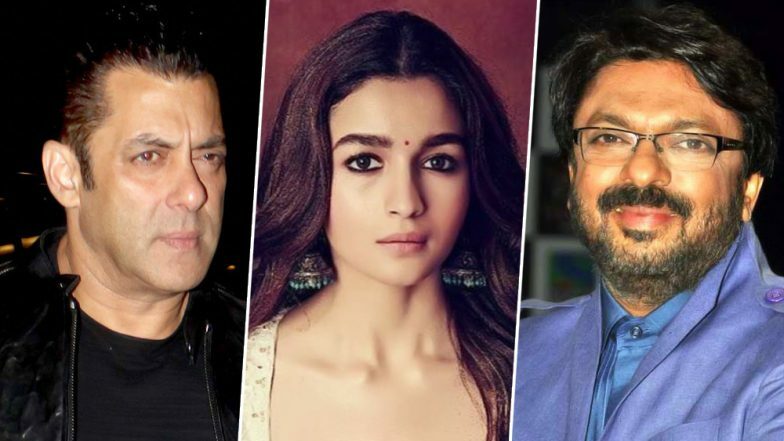 This is the first film for Alia with SLB whereas, it would be Salman’s third film with the director. Not Inshallah, but Shah Rukh Khan to Be a Part of Sanjay Leela Bhansali’s Two-Hero Period Saga? When Salman Khan and Sanjay Leela Bhansali collaborated for any project, it has not just been a magical one but the films have also been a blockbuster. This is the third time that Salman would be joining hands with the ace filmmaker, for which Alia Bhatt has been roped in opposite the actor. The Zee Cine Awards 2019 which was held last evening, was a star-studded event. We saw the leading celebs of tinsel town in attendance for the glamorous event. Alia Bhatt, who was also part of the event, expressed how happy she is to be part of Inshallah. The actress also said, Salman and SLB are a magical combination. Zee Cine Awards 2019: Red Alert! When Janhvi Kapoor, Deepika Padukone and Malaika Arora Slayed in Their Stunning Gowns (View Pics). It is truly a big dream come true not just for Alia Bhatt but even for the cinephiles to watch this diva in a Sanjay Leela Bhansali film. In an interview to Mumbai Mirror, Sanjay Leela Bhansali had said about Alia, “Alia is an extremely young actress with a lot of magic. She fits the role beautifully.” We just can’t wait to watch Salman Khan and Alia’s chemistry in the upcoming film. Stay tuned for further updates.